A child can do it! Tap on the picture of the blinxbook where you want the next blinx to be stored. Click on the camera icon that appears on the left of the image - and then point the phone to where you want and take a photo! For those of you with a soft spot for nostalgia – you can now tap on the image. 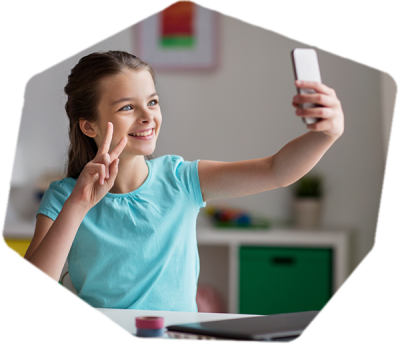 The photo flips and allows your child to capture their thoughts to pass on to you in a short text message including emoji – the more the merrier it seems for the young mind! This is the part of the app we like the most. Your child can leave a vemo (short voice message) after pressing the record button. It knocks your socks off to have your day interrupted to hear a message from your little one saying that they love you, or miss you or just that they really really, really like snails! Your child is then able to publish their blinx and excitedly send it on its way to your in-crowd. 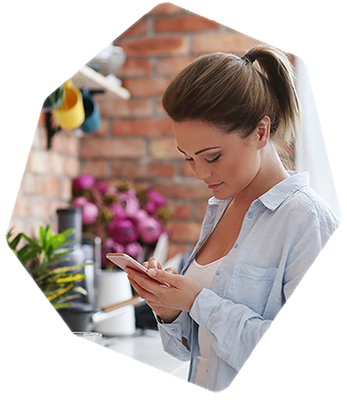 The only place blinx get stored is on your family and friends' phones so your child’s key moments stay firmly within your in-crowd. Keeping it family! This is for those of you with a soft spot for nostalgia - you can now flip the image by tapping on the photo. This allows your child to capture their thoughts and pass them to you in a short text message including emoji – the more the merrier it seems for the young mind!